One of the most essential items for any baby's wardrobe, these singlets are soft, stretchy and breathable. Order around six of these for each stage of your little one's growth and you should be set! 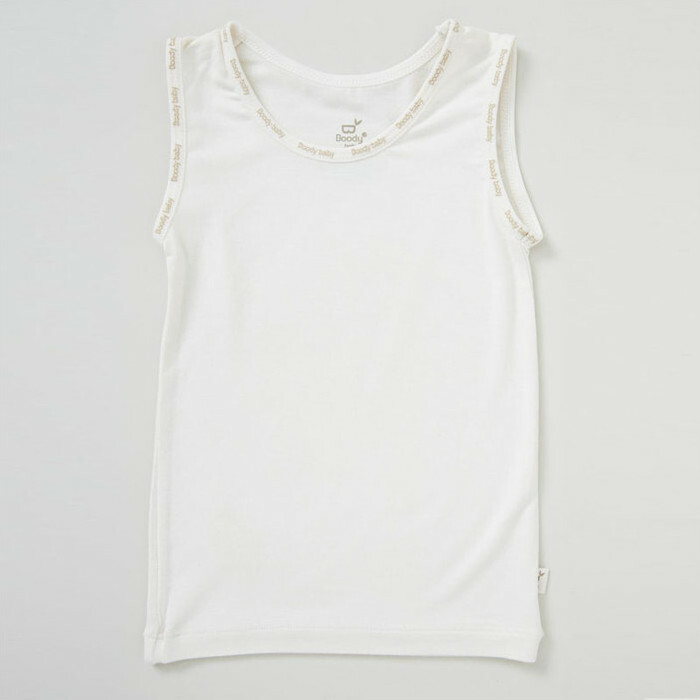 Thin and sleek, these Singlets fit comfortably under any outfit to regulate your baby's temperature, keeping them nice and warm in the cold, and cool in the heat. Boody's signature trim is elasticated to make it easier to get your child dressed and undressed. The super-hygienic material is hypoallergenic, anti-odour and anti-bacterial, free of toxins and eco-friendly. What more could you want from a vest? Thermo regulating which is why we bought it. Soft and comfortable for bub to wear. Cooler for summer too.